Today, Michael R. Bloomberg and Johns Hopkins University announced an unprecedented $1.8 billion philanthropic commitment, representing the largest ever contribution to an academic institution in American history. The historic gift will be devoted exclusively to undergraduate financial aid at one of the world’s leading education, research and patient care institutions, allowing Johns Hopkins University to permanently commit to need-blind admissions and ensure unparalleled educational opportunities for the next generation of global leaders. The full text of Mike Bloomberg’s New York Times op-ed published today can be found here and appended below. At dozens of selective colleges, there are more students from incomes in the top one percent than there are from the bottom 60 percent, even though many middle and lower-income students have the qualifications to get in, according to a New York Times analysis. Schools without the funds to support need-blind admissions policies deny seats to middle and low-income, high achieving students, impeding social mobility and creating barriers in cultivating talent from every background. Studies show that high achieving students who attend the most selective colleges — no matter what their family’s background — have similar graduation rates and career earnings. Making matters worse, middle and low-income students who are qualified to get loans are burdened by debt upon graduation, exacerbating income inequality. There is a total of $1.5 trillion in outstanding student loans in the U.S., making it the second-largest consumer debt segment in the country after mortgages, according to the Federal Reserve. By building an extraordinary financial aid program to fuel student access and mobility, Johns Hopkins will rank among the top ten universities in per student financial aid support, with a focus on first generation/low-income (FLI) students and taking up the often overlooked challenge of access for middle-income students as well. Become permanently need-blind. This endowment will allow the University to permanently commit to need-blind admissions, admitting the highest achieving students from all backgrounds, regardless of their ability to pay. Offer no-loan financial aid packages. Currently, 44% of Johns Hopkins students graduate with some form of loan debt, averaging more than $24,000. Student loans will now be eliminated from financial aid packages and replaced with scholarships that do not need to be repaid, providing more support to students at a time when a college education is becoming harder for families to afford. Reduce family contributions. The financial burden placed on working families will be eased by reducing what families who qualify for financial aid have to pay towards their child’s education. This is particularly meaningful in middle and low income families trying to balance tuition for multiple children. Provide comprehensive student support. Johns Hopkins will dramatically increase recruitment and programs for first generation and lower-income students, including support for research experiences, internships, and study abroad. Increase Enrollment of Pell Eligible Students. Johns Hopkins will build a more socioeconomically diverse student body, with low-income students who qualify for federal Pell Grants comprising at least one fifth of the student body by 2023. In addition, Johns Hopkins will help address the critical national issue of college “under-matching”, whereby talented high school students from middle and lower income backgrounds are not matched with competitive college choice options. Johns Hopkins will implement an intensive outreach and recruitment program to ensure that academically qualified students from middle and low income backgrounds understand that a world-class education at an institution like Johns Hopkins is attainable and affordable. Bloomberg Philanthropies is also addressing the issue of under-matching through two education initiatives, CollegePoint and the American Talent Initiative, which aim to directly help high-achieving, lower-income students apply to, enroll in and graduate from top institutions. Prior to this extraordinary gift, Johns Hopkins, relative to its top ten peers, had one of the lowest endowed funds available for student financial aid and one of the smallest average need-based awards, making it increasingly difficult for families to afford Hopkins. While the university has been able to admit the past several classes in a need-blind manner, using internal and donor funds, it has been without the security of funding that would allow the university to commit to this strategy publicly and permanently. Bloomberg is a 1964 graduate of Johns Hopkins, the founder of Bloomberg L.P. and Bloomberg Philanthropies, and the 108th Mayor of New York City. He also served as the Chairman of the Johns Hopkins University Board of Trustees from 1996 to 2002. Bloomberg’s total lifetime giving to philanthropic efforts is $6.4 billion to date, which does not include this latest commitment. Bloomberg made his first gift of $5 to Johns Hopkins University in 1965. His long term commitment and leadership has had an extraordinary impact on the school in every way – in terms of facilities and infrastructure, research and academic achievement, student body quality, and diversity. 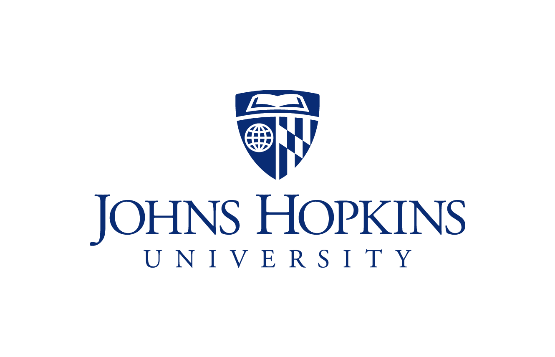 Johns Hopkins University is also a strategic partner for many of Bloomberg Philanthropies’ programs, including public health initiatives focused on improving life expectancy in the U.S., road safety, drowning prevention, improving public health data, and tobacco control. Bloomberg Philanthropies’ What Works Cities Initiative, which helps cities use data and evidence to make better decisions and improve lives, also relies on the expertise of Hopkins faculty and staff. Bloomberg’s investments in undergraduate life for the university – ranging from financial aid support to physical revitalization of the campus – has also played a key role in propelling Johns Hopkins to an unrivaled jump in the national ranking by U.S. News & World Report, moving from #16 in 2007 to #10 in 2018. The School of Medicine ranks first among medical schools in receipt of extramural awards from the National Institutes of Health, and the Bloomberg School of Public Health, which recently celebrated its 100th anniversary, was the first public health school in the nation and is the top ranked in the field. For additional information on Mike Bloomberg’s giving to Johns Hopkins, his work on college access and affordability, and related multimedia, click here. Bloomberg Philanthropies works in 480 cities in more than 120 countries around the world to ensure better, longer lives for the greatest number of people. The organization focuses on five key areas for creating lasting change: Arts, Education, Environment, Government Innovation, and Public Health. Bloomberg Philanthropies encompasses all of Michael R. Bloomberg’s charitable activities, including his foundation and his personal giving. In 2017, Bloomberg Philanthropies distributed $702 million. For more information, please visit bloomberg.org or follow us on Facebook, Instagram, Snapchat, and Twitter. Here’s a simple idea I bet most Americans agree with: No qualified high school student should ever be barred entrance to a college based on his or her family’s bank account. Yet it happens all the time. When colleges review applications, all but a few consider a student’s ability to pay. As a result, high-achieving applicants from low- and middle-income families are routinely denied seats that are saved for students whose families have deeper pockets. This hurts the son of a farmer in Nebraska as much as the daughter of a working mother in Detroit. America is at its best when we reward people based on the quality of their work, not the size of their pocketbook. Denying students entry to a college based on their ability to pay undermines equal opportunity. It perpetuates intergenerational poverty. And it strikes at the heart of the American dream: the idea that every person, from every community, has the chance to rise based on merit. I was lucky: My father was a bookkeeper who never made more than $6,000 a year. But I was able to afford Johns Hopkins University through a National Defense student loan, and by holding down a job on campus. My Hopkins diploma opened up doors that otherwise would have been closed, and allowed me to live the American dream. I have always been grateful for that opportunity. I gave my first donation to Hopkins the year after I graduated: $5. It was all I could afford. Since then, I’ve given the school $1.5 billion to support research, teaching and financial aid. Hopkins has made great progress toward becoming “need-blind” — admitting students based solely on merit. I want to be sure that the school that gave me a chance will be able to permanently open that same door of opportunity for others. And so, I am donating an additional $1.8 billion to Hopkins that will be used solely for financial aid for qualified low- and middle-income students. This will make admissions at Hopkins forever need-blind; finances will never again factor into decisions. The school will be able to offer more generous levels of financial aid, replacing loans for many students with scholarship grants. It will ease the burden of debt for many graduates. And it will make the campus more socioeconomically diverse. But Hopkins is one school. A recent analysis by The Times found that at dozens of America’s elite colleges, more students came from the top 1 percent of the income scale than from the entire bottom 60 percent of that scale — even though many of those lower-income students have the qualifications to get in. As a result, they often lose out — and so do colleges that would benefit from their talents and diverse perspectives. Our country loses out, too. College is a great leveler. Multiple studies have shown that students who attend selective colleges — no matter what their family’s background — have similar earnings after graduation. But too many qualified kids from low- and middle-income families are being shut out. First, we need to improve college advising so that more students from more diverse backgrounds apply to select colleges. Through a program called CollegePoint, my foundation has counseled nearly 50,000 low- and middle-income students about their options, and helped them navigate the financial aid process. Second, we need to persuade more colleges to increase their financial aid and accept more low- and middle-income students. Through the American Talent Initiative (which my foundation created several years ago), more than 100 state and private schools have begun admitting more of these students. Third, we need more graduates to direct their alumni giving to financial aid. I’m increasing my personal commitment — the largest donation to a collegiate institution, I’m told. But it’s my hope that others will, too, whether the check is for $5, $50, $50,000 or more. But these steps alone are not sufficient. Federal grants have not kept pace with rising costs, and states have slashed student aid. Private donations cannot and should not make up for the lack of government support. Together, the federal and state governments should make a new commitment to improving access to college and reducing the often prohibitive burdens it places on so many students and families. There may be no better investment that we can make in the future of the American dream — and the promise of equal opportunity for all. Michael R. Bloomberg is the founder of Bloomberg LP and served as mayor of New York, 2002-2013.